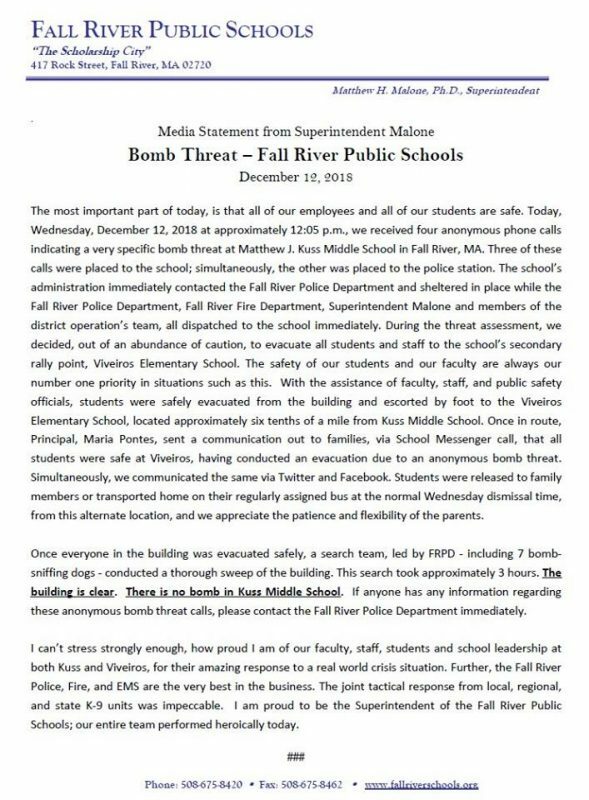 According to Fall River Public Schools, Kuss Middle School received an anonymous bomb threat today. This afternoon, Kuss Middle School received an anonymous phone call indicating a bomb threat to the school. FRPD and FRFD were immediately notified and advised to shelter in place. 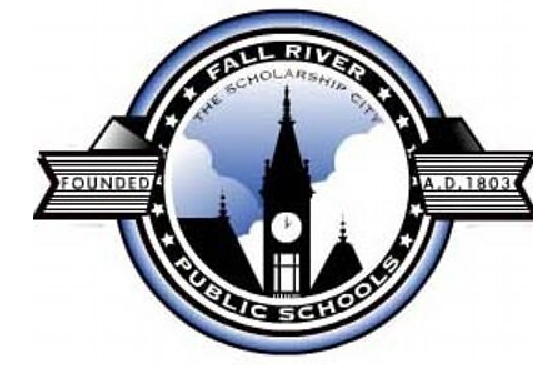 They immediately reported to the school along with Superintendent Malone and members of his staff. According to a statement, out of an abundance of caution, the decision was made to evacuate to the school’s alternate site, Viveiros Elementary School, so that the building could be thoroughly and completely searched. All students were escorted by staff to Viveiros. EVERYONE IS SAFE. Kuss Middle School students will be dismissed at their regular time from Viveiros. Bused students will be transported from Viveiros to their regular bus stops. If you would like to pick your child up, pleased do using the Dwelly St. Entrance. The school will communicate with families when they have more information.